I know, I know, I've been posting a ton of baby quilts lately, but they are so fun! This one is for my cousin's new baby due in May. I've gotten pretty good at quilting, and these only take me a few weeks now. (It would only take me a few days if I wasn't full time momming!). The fabric is a fat quarter bundle of Evening Stroll Hello Jane from the Fat Quarter Shop online. 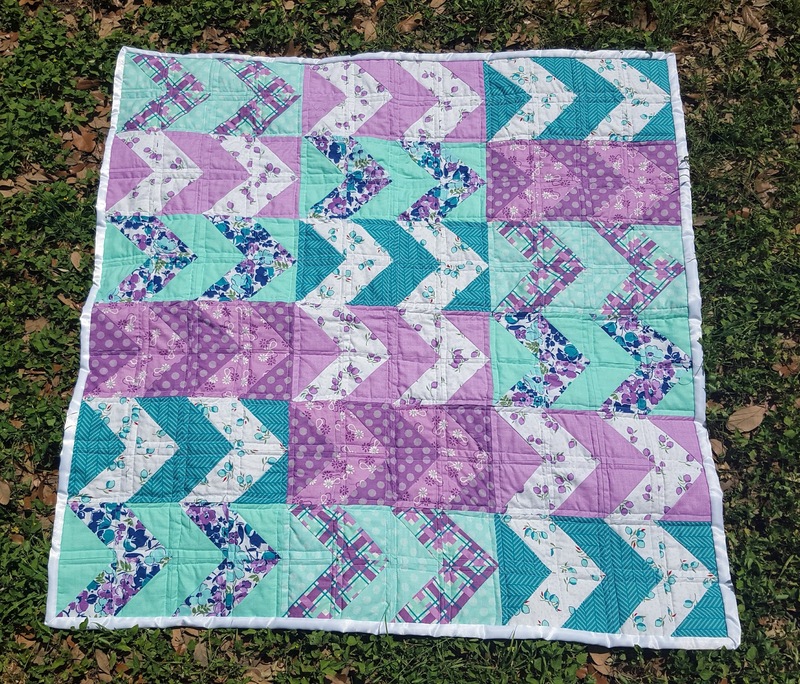 Teal and purple is my absolute favorite color combination and I've been dying to make a quilt out of it. Honestly it was really hard to give this one away. I hope my cousin loves it as much as I do! 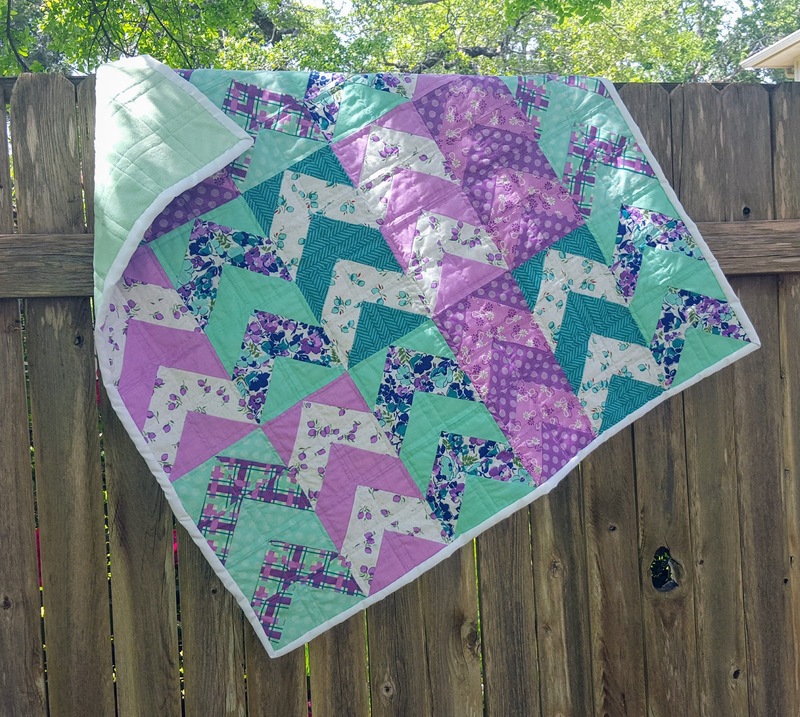 I made the chevron blocks by following this tutorial from Missouri Star Quilt Company's youtube channel and arranged them in pairs of chevrons. I tried out a few different combinations of chevrons, but this one worked out the best. I used a light greenish teal minky for the backing, which I quilted into a sort of plaid square pattern by sewing 1/4 in from all of vertical and horizontal seams. I didn't want to do anything that would sew over the points or even the corners directly because I learned the hard way that many a needle must be broken and sacrificed when stitching in the ditch on complicated quilts! I'm so proud of how far I've come in my quilting!